5/5 rating based on 113 reviews. Read all reviews for Rainy Mood for iPhone. 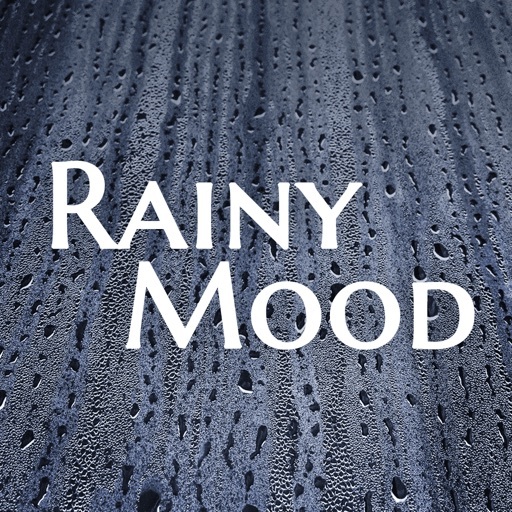 Rainy Mood is paid iOS app published by Plain Theory, Inc. I was trying not to have the TV on to fall asleep and this app has become my fav nighty routine. Amazing and cozy! Ignore the rest, this is the best. Seriously, spent the extra money. This has seamless loops that you don’t notice and last 5-10minutes each. It’s impossible to notice repeating clips. Other apps you can hear loops restart, this you don’t. I’ve used them all, and although this has less, it’s 10x better in quality. I have been using this app for a really long time Love it But I really want the designer to consider to enlarge the maximum volume of each session especially the volume of raining. The reason is that I like to have raining and music playing in the same time and when the music is playing the volume of raining is usually too low even if I set it to the maximum volume. It is really affecting my experience using the app!! Literally the app that I can't live without! I use this app to give myself some natural ambient noise while working on my iPad. Unfortunately it switches orientation it interrupts my workflow. It also needs split view and slide over support. There is no excuse not to have split view and slide over support on ios 11. One request: can we please vary the duration of the sleep timer? I absolutely love this app! I have a hard time falling to sleep and staying asleep. Ever since I downloaded this I’ve fallen asleep quicker and stayed asleep. It has a timer on it so just set it and shut your eyes. It has rain on a tin roof which has always been relaxing to me. Absolutely perfect. Rainy Mood delivers exactly what's needed with enough options to keep it interesting while a very consistent simplicity. Cannot recommend enough.